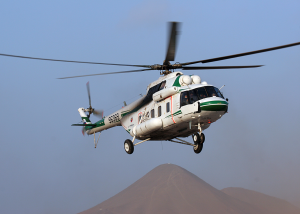 CUBA STANDARD — Russian Helicopters announced it wants to establish a base in Cuba for aftersales service and upgrading of helicopters in Latin America and the Caribbean. The Russians say they are in talks about expanding the existing Yuri A. Gagarin Aircraft Repair Plant southwest of Havana, which is run by Cuba’s armed forces. 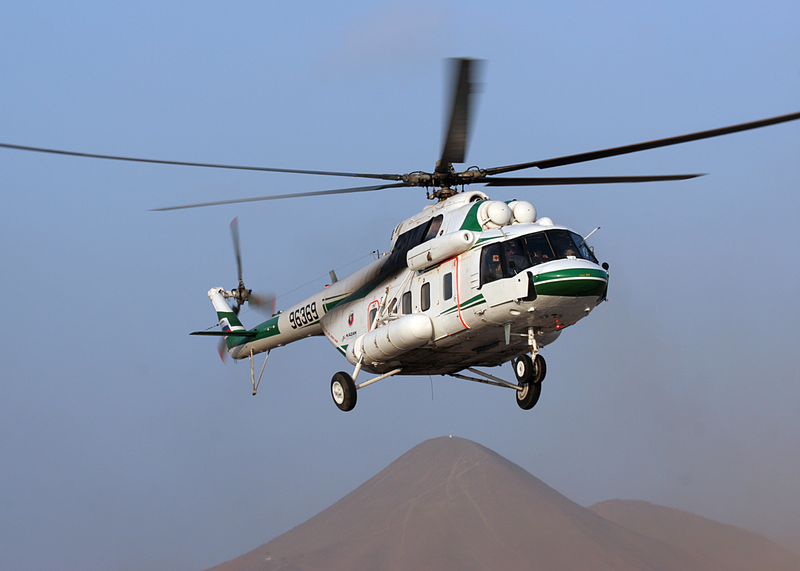 The Moscow-based company, which is a part of state corporation Rostec, says that more than 400 Russian-made helicopters operate in Latin America, 320 of them workhorse Mi-8/17 models. Cuba is one of the biggest market in the hemisphere, with 60 Soviet and Russian-made helicopters, about 50 of them Mi-8/17s. 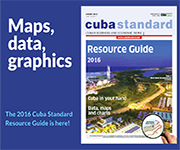 The most modern version is being used in offshore oil operations in Cuba. According to Avia Solutions Group, some 20% of military rotorcraft in Latin America are Russian-made; users include the armed forces of Cuba, Nicaragua, Mexico, Venezuela and Peru. 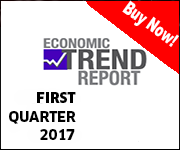 The biggest growth potential, though, is in the civil market, where the company has only captured 2% in the region. 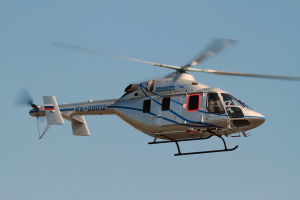 Lately, Russian Helicopters has focused its attention on key markets in Brazil, Argentina and Mexico, landing a $200 million deal with Brazil’s Atlas Taxi Aereo for up to 14 Kamov-62 helicopters for use in offshore oil drilling. The Yuri A. Gagarin Aircraft Repair Plant southwest of Havana is the oldest armed-forces operated plant in Cuba opened by the Soviets in the 1960s. The plant currently provides equipment and aviation repair services for both Cuba’s armed forces and civilian organizations. It also began producing the multi-use AC-001 Comas aircraft. The Russian company is showcasing its Mi-17 models at the Havana International Fair, together with its light Ansat and medium Mi-38, as well as a comprehensive modernization kit for Mi-8/17/171. Commercial helicopters will be offered new digital avionics systems and additional equipment, enabling them to be used in search-and-rescue and passenger transport operations. A large component of the base’s business in Cuba would be military. Russian Helicopters says it has a Russian government license allowing it to export components and auxiliary equipment, and provide special training and technical documentation for military helicopters already delivered. Founded in 2007, Russian Helicopters includes five production facilities, two design bureaus, a spare parts production and repair facility, as well as an aftersale service branch responsible for maintenance and repair in Russia and all over the world. Russian companies are also planning to sell Cuba rail cars, and invest in a rail car maintenance facility during the rest of this year and in 2016, according to an action plan signed by the co-presidents of the Cuba-Russia business committee at the Havana International Fair. 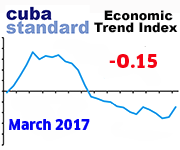 Cuba’s rail car purchases over five years will be funded with a euro 24 million export credit from Russia’s export guaranty agency. Meanwhile, Russian automakers have plans to export vehicles to Cuba — including Kamaz trucks — and establish maintenance networks, as well as vehicle assembly in Cuba, Russian officials said. In the presence of Vice President Ricardo Cabrisas and Kalamanov, the committee co-presidents also signed six cooperation agreements in the areas of energy, finance, metalmaking, and pharmaceuticals. This entry was posted on Thursday, November 5th, 2015 at 10:34 pm	and is filed under Companies. You can follow any responses to this entry through the RSS 2.0 feed. Both comments and pings are currently closed.